Weather Route aims to make sure you never have to cancel another trip due to a weather surprise. * Check the current weather throughout your entire road trip and compare city forecasts side-by-side. See if there's snow in that high mountain pass, or flash flooding across that lonely desert, all at the same time. * View highway camera images for your trip from nearby traffic cameras. Look for the camera icon when viewing the map. 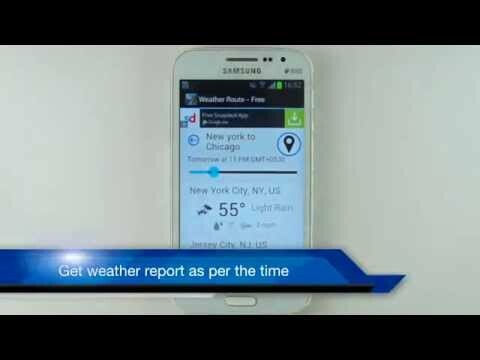 This app is the paid, ad-free version of Weather Route. If you'd rather have the free ad-supported version, look for it in the other apps listed under "More from developer".